Did you know that a Prairie View A&M graduate was successful in leading the 1965 American Football League All-Star Game boycott? Did you also know that same graduate defended a legendary film star known as “The Hammer?” Today, we pay homage to Prairie View Hall of Famer and former AFL standout Clem Daniels. Clem passed away on Saturday, at the age of 81. To Panther fans, Daniels is best known for helping the university capture the 1958 Black College National Championship under head coach William “Billy” Nicks. During that season, Daniels led the Panthers at running back to a 10-0-1 mark which included big wins over Florida A&M (28-8) and Grambling State (44-6). During that era, Daniels played against some of the best to ever play the game when it came to opposing programs. However, just making it on the field at Prairie View was a challenge for Daniels. Before Daniels began his professional football career, he graduated from Prairie View as a commissioned officer and served in the United States Army as a lieutenant. He returned to the football field as a member of the AFL’s Dallas Texans, but it wasn’t a happy homecoming for the McKinney, Texas native. Despite his success as a running back, he was converted to defensive back as Daniels said the Texans didn’t want to cut him or play him, but they wanted him on the roster. Due to that experience, he refused to suit back up for the Texans and with little to no NFL options; he made the trek north to Canada to play for Hamilton of the CFL. However, as fate would have it, he was found by the Oakland Raiders but nearly missed the opportunity to play for the Raiders as the head coach who arranged for him to come down was fired upon his arrival. A free agent, Daniels also drew interest from the New York Titans but eventually signed with the Raiders after an hour of negotiations. He flourished wearing the silver and black as the McKinney, Texas native rushed for 5,000-plus yards and 30 touchdowns. Daniels was also a threat out of the backfield with 201 receptions for 3,291 yards as he was named to the AFL’s All-Time Team. While Daniels made his mark on the football field, he had a bigger impact off the gridiron as a successful activist. 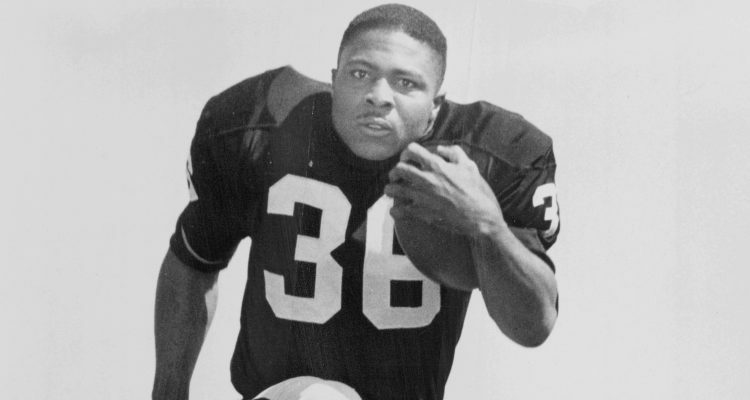 Due to the discrimination he faced in New Orleans before the 1965 AFL All-Star Game, Daniels and 20 fellow African-American players boycotted the game and forced a change of venue to Houston, Texas as a result. With New Orleans wanting an NFL franchise, Daniels told Time magazine part of the reason the boycott occurred was that he wanted to show people the type of standards a city should display if they desired a professional football team. Daniels also took note of various Civil Rights events across the country and had strong beliefs. Legend has it that he stood up to a patron at a club after they insulted fellow teammate and famed Blaxploitation actor Fred Williamson. He nearly made an appearance at the Selma March before being talked out of it by late Oakland Raiders owner and head coach Al Davis. Davis redirected Daniels’ thoughts and changed his life as a result. Daniels was also a successful businessman and teacher in the Bay Area which he said was due to his education from Prairie View. Daniels owned a sports bar and restaurant called the End Zone and was President of Cal PAC, which secured college scholarship funds for African-Americans. He eventually became President of the Prairie View A&M National Alumni Association and also helped raise funds for Prairie View A&M’s new football stadium among other endeavors. Daniels also played a big piece in the resurgence of Prairie View A&M football as he was involved in the selection of former head coach Henry Frazier III. That decision paid off as Frazier won the 2009 SWAC Championship and put Prairie View A&M football back on the map.